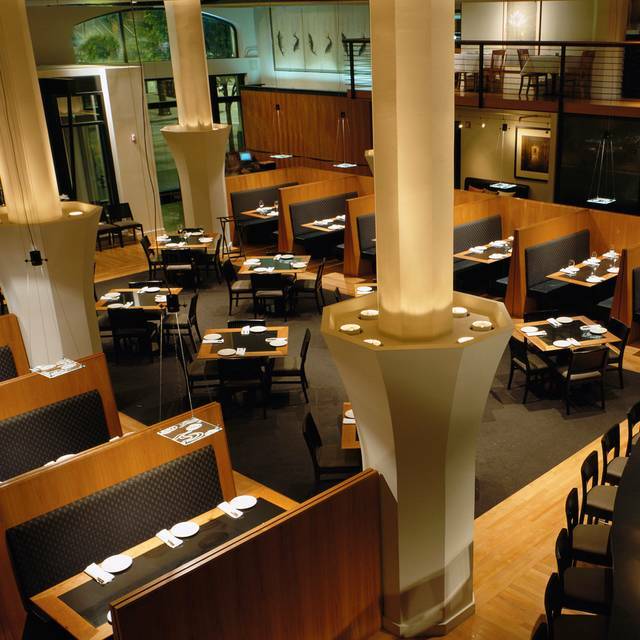 You must make reservations at least 5 minutes in advance of the time at Wild Ginger Downtown Seattle. 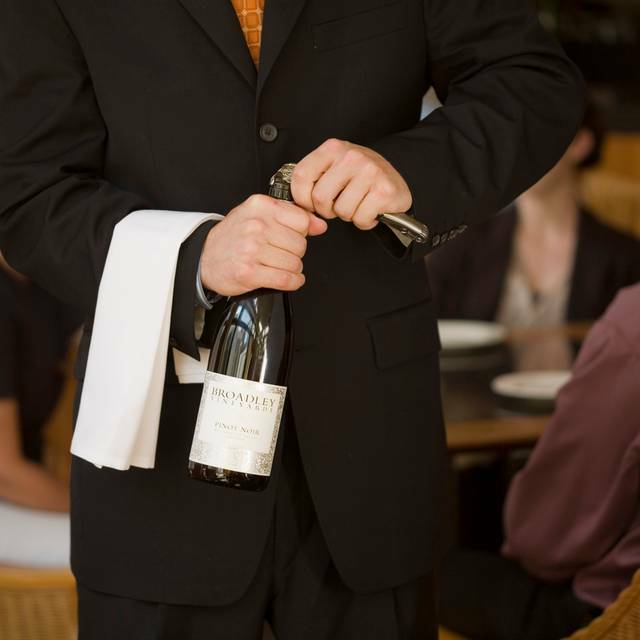 Valet is located on Union Street, available Thursday, Friday and Saturday for $10. Parking is also available at several garages in the area. Major bus line is right out front on 3rd Avenue. Check out The Triple Door right next door to us on Union Street for live bands and performances every night. Rise beyond the conventional with catering from Wild Ginger. Whether you are planning an intimate dinner or a reception for hundreds, we can help create an unforgettable experience for you and your guests. The food at Wild Ginger spans the Pacific Rim from China to Indonesia. 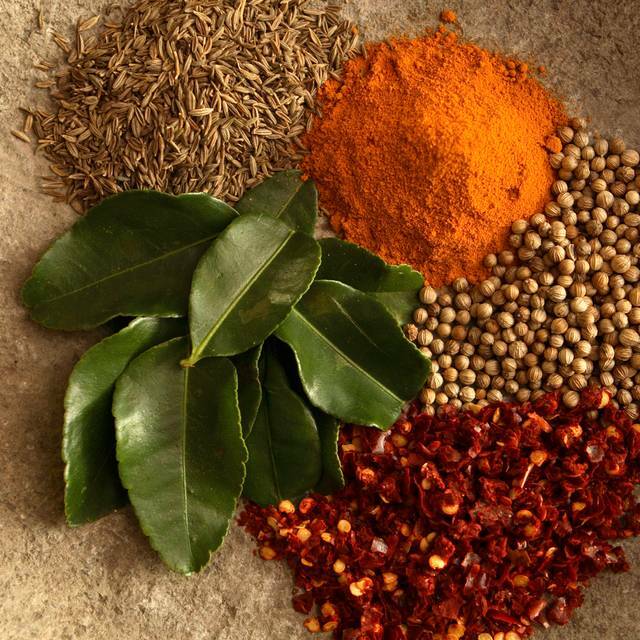 We pride ourselves on offering traditional dishes from these distinctive regions and insist on house-made ingredients. Chefs make spicy chili sambals, fresh coconut milk, delicate egg noodles, and our pungent oyster sauce all from scratch. To achieve the sublime flavors of the East, there is no substitute for the time-honored customs of these rich and ancient cultures. 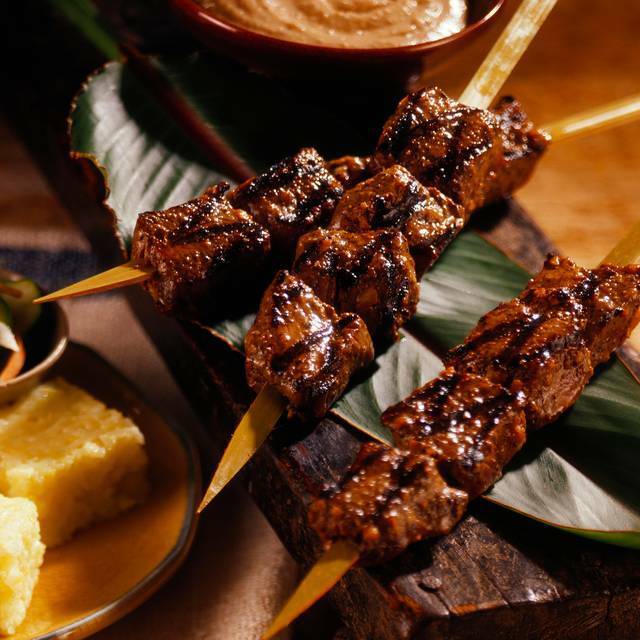 Satay is an Indonesian word meaning skewered and grilled. Our satays are grilled to order and served with a rice cake and pickled cucumbers. Add any of the following to your salads: chicken – 3. prawns - 5. House-made Maine lobster and wild Patagonian pink prawn dumplings served in a wonton style broth, scallions, fried shallots and coriander leaves. A spicy seafood bouillabaisse from Malaysia. Fresh fish, sea scallops and local mussels are accompanied by cucumber, bean sprouts and rice noodles in a fish broth. Thinly sliced cabbage, shredded chicken, red onion, carrot, peanuts and aromatic herbs are tossed with a slightly spicy Vietnamese dressing. Shredded green papaya and carrot, aromatic Southeast asian herbs, fried shallot, garlic, peanuts and spicy thai chilies in a lemon-fish sauce dressing. Seared sea bass with roasted peanuts, Thai basil, lime juice, chili, and tamarind with butter lettuce leaves. Fresh local mussels, wok fried in a spicy roasted chili paste with pineapple, red pepper, palm sugar & basil. Our house-made‏ chicken potstickers are a perennial favorite. Served with a black vinegar dipping sauce. Wok fried‏ chicken wings tossed in sweet and tangy Vietnamese sauce. A house specialty. Succulent fresh duck spiced with Sichuan Peppercorn and 5 spice. Served with steamed buns, Sichuan peppercorn salt and sweet plum sauce. Extra buns .50 each. A favorite from Vietnam: flank steak fragrant with the seven flavors of lemongrass, peanuts, chilies, hoisin, basil, garlic and ginger. A Hong Kong specialty. Hand selected scallops are quickly seared and coated with soy sauce and black pepper. Wok fried chicken with aromatic herbs, spicy black beans, red and green bell peppers and onions. A classic Thai curry rich in green chili and galangal. Finished with a touch of coconut milk. Marinated in cognac and Sichuan peppercorn then grilled and finished with hoisin, fresh toasted coconut and crushed peanuts in the wok. Marinated in‏ house-made fish sauce, pan-fried and topped with aromatic Southeast Asian herbs and crushed peanuts. Fresh sashimi grade ahi tuna marinated with shallot, garlic, and turmeric, seared rare, and served with almonds and dill. Patagonian pink prawns battered and wok glazed in sweet and sour sauce with crushed peanuts and chili. Javanese vegetarian curry with tofu puffs, chayote, eggplant, peppers, green beans, cabbage and okra, served with Pandan turmeric rice cake. Fried tofu, eggplant, soy sauce, kafir lime leaf and basil. 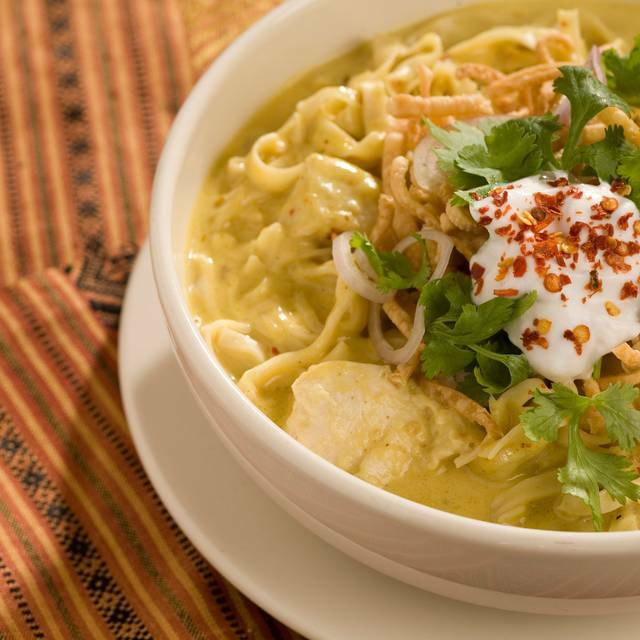 A classic Thai noodle dish with chicken, fried tofu, egg, peanuts, chives and thin rice noodles. House-made egg noodles wok-fried in a spicy Mongolian chili sauce with julienne vegetables, mushrooms and crushed peanuts. Topped with cucumber noodles. Add flank steak for 9. Fresh wide rice noodles are wok-fried with scallops, prawns, squid and mussels in a light soy sauce with hints of basil and chili. *Consuming raw or undercooked meat, seafood & egg may increase your risk of food borne illness. 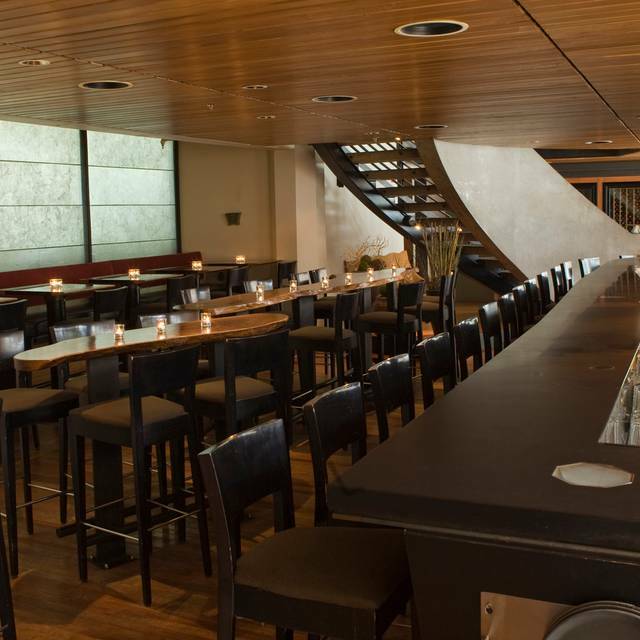 Stop by our bar at Wild Ginger Downtown Seattle for Happy Hour, Monday-Friday from 3-5pm. Unbeatable prices on small plates, beer and wine, handcrafted cocktails, and more. Show your love and appreciation for the women in your life with a special dining experience at Wild Ginger this Mother's Day. We will be offering a Dim Sum buffet at $48/person all day long. Make this Easter extra special by joining us for dinner at Wild Ginger! Beautiful interiors, accommodating yet unintrusive staff, and tasty food + drinks. Food was very poor, we went for lunch during SRW. One of the appetizers was not available. Room is dated and needs an upgrade. Food was very disappointing, very small portions, chicken dish very salty/spicey, beef course was tough. Would not return for another SRW meal. Tiffany was a funtastic server with a great sense of humor. Good food. Quiet ambiance, early in the day so fewer people. Great service. I usually love Wild Ginger but my most recent experience was disappointing. I had a reservation for 6:15, and tickets to a show starting at 7:30. When I arrived at 6:10, I ended up waiting for my table until about 6:35. Once seated, we ordered pretty quickly but the food did not arrive until 7:10. While waiting, we asked for our check, so we literally paid for our food before we even got it. When it arrived, we asked for to-go boxes, shoved food into our mouths and headed out at 7:25. Our waitress knew we had tickets to a show and I thought I had alloted plenty of time...my whole dining experience felt rushed and I was disappointed that this was the case, especially since I had raved about it to my dinner-date who had never been there before. I understand the restaurant gets busy on show-nights, but I feel like given their location, they should have the experience to plan accordingly for the dinner rush. I have been to Wild Ginger many times over many years. I like the restaurant . Sunday night was a disaster. Why do restaurant week if you cannot handle the crowds.? If I was a first time customer I would never return. Why did I give such an overall poor rating with such a good service rating? Well, the waiter did everything he could but we were seated at least 45 minutes late and we had a curtain time of 7:30 to make. Food came in waves but we didn't get several dishes until 7:30. We had to box up our meals without even trying them. The waiter sent out comp potstickers and took some $ off the bill but it can't make up for the agitation we felt throughout the dinner. We had been so looking forward to going out as a group (of 6) and treating ourselves and instead, we were rushed and distracted the entire time waiting for our food and checking our watches. Either plan to dine several hours in advance of a show, or skip altogether. Second time I’ve been seated in the annex room instead of the main dining area which is more intimate. Maybe I’ll try requesting the main room next time. The food is overpriced and some items are downright flavorless. In the $15 soup I got, ginger overpowered the lobster and shrimp dumplings floating in a "broth" that tasted like hot water. The duck was flavorless and had a weird texture to it. Honestly, of everything we ordered, I can only recommend the sea bass, mandarin chicken, and szechuan green beans. The service was deplorable right from the start, as we waited 10 or more minutes after being seated before even seeing our waiter or getting water. He then served all his other tables, all except one that were seated after us, before attending to our table. He appeared very nervous, although he told us he'd worked there for 2 years, and was completely inattentive before, during, and after our meal. We had to wait 20+ minutes to get our check and only after I asked the busboy to track down our waiter. While I normally tip at least 20%, I couldn't in good conscience leave more than 10% on a $200+ bill. I handed the other 10% of the tip to the busser, who provided excellent service in comparison, and who mentioned that our waiter's inattentive service was a "common sentiment" that evening. We will not be back. We joined a large group of women attending a lecture at Benaroya at 7 and planned an early dinner. We had an amazing waiter who was very patient as we made our choices: Pad Thai with Prawns, broth with lobster and shrimp dumplings and a tofu with baby eggplant dish. The soup broth was tasteless. Everything else was 5 star. Excellent food and a festive pre-show environment. Appreciated help from the wine steward! Excellent dishes and great service for a relatively reasonable price. Service was fine. Food was good, but very expensive and Wild Ginger does not provide a good value. A little noisy for elder ears. Everything else wonderful. I recommend overall - just don't go for Seattle Restaurant week. The servings are quite small. The food was good, as always, but 2 little bites for appetizers and a small plate for dinner, without any rice, is really not any deal ! Better places for 3 courses for $35. We sat upstairs and enjoyed the view below. The noise level was such that we could actual hear each other talk--not like other places we have eaten lately. Service was terrible. We waited 20 minutes to have our order taken and had to wait throughout the meal each step of the way. Our waiter was attentive but not i Ruis ever. Delicious food with good portion. Loved it. I was very pleasantly surprised at the Ambiance and great service at this restaurant. I had a very enjoyable experience and plan to return on my next trip to Seattle. The service was really good. This place is a gem! Despite its size, the ambience is subdued and intimate and the noise level was very low. Granted, we were in a booth. It might have been a bit different at a table in the open. The food was delicious and the service was outstanding. I would definitely come again, and I would bring guests! I’ve been going to Wild Ginger for the past 30 years and I hope to be able to continue dining there for the next 30. Even though I live in Dallas, I make it a point to enjoy Wild Ginger on every trip to Seattle. This time I brought along 6 colleagues and they all loved the meal. The only ding on this visit was that the service was a little slower than usual, but we were enjoying every other aspect. The waiter was excellent and may have been just misreading our cues about ordering and pace of dinner. But, it was EXCELLENT! Unfortunately we were seated almost 30 minutes after our reservation. Our time was then limited because we had tickets to a performance. The waiter was very kind in telling us what menu items could be prepared quickly, but the list was quite short. We could not understand why the balcony wasn't open that evening to better accommodate what they should have known would be a large crowd. We arrived exactly on time for a 530 pm Sunday reservation, and every single person on the staff made excuses for delay delay delay while we were there. This restaurant is across the street from Seattle‘s major concert hall; how is it possible that they are unprepared to serve all of their tables starting two full hours before a scheduled event? We were kept standing in the foyer; after we were seated it took 15 minutes and duplicate requests to get our simple bar order, which came after the first course on the “restaurant week“ set menu (in other words, our food order was not a complicated one and was apparently meant to show off the house’s best). We were finished on time for our event, but it was irritating to have everyone make excuses. Have the management never trained their staff on the difference between an apology and an excuse? They made it sound like it was our fault for being there, when they couldn’t keep up with the diners they had seated. Fine, next time I go to Benaroya Hall, I will make a reservation elsewhere and enjoy my meal. And it probably won’t be as expensive, and I will most likely be happy to leave my customary 20% tip. We were having dinner to celebrate my mother’s birthday, her first birthday since losing her husband of 54 years. I had noted this on the reservation and while the table next to us received a candle in their dessert for a birthday, my mother received nothing, even though we ordered three desserts. Additionally, after the bill came we asked if we could pay part with a gift card and part with cash and the server seemed annoyed and finally in exasperation left and brought two bills back, which is not what we asked for. Disappointing experience. Our favorite dish is Seven Flavors Beef Ann’s Phad Thai all served hot and tasty. Classy place next door to Benaroya Hall. Quick and easy access after an afternoon at the Symphony. Perfect! The food was very good(especially the duck and the seven flavor beef)and at a decent price, the service was excellent. My only complaint was that we were seated on the edge next to a window, taken away from the rest of the crowd. I read that it’s a very lively and romantic environment in the restaraunt, but we were not seated in a spot for that experience. Besides that the food was very very good and I had no complaints! We got stuck in the room with tables. I much prefer the booths. The people next to us were very loud and since they pack you in, I could hear their conversation better than my own. The food was great and the service excellent. food and service were outstanding. prices a bit high in my opinion. I usually love the Wild Ginger, but this last time I was somewhat disappointed. The food was average this time. The duck that we ordered was dry and had too much fat. Overall the portions were small for dinner. We ordered three dishes for dinner plus a dessert for the two of us. The dishes were served in a timely manner. The sorbet was great though. I make sure to get to one of their locations every time I'm in Seattle. Still one of the best restaurants in the country! Fabulous greeting by Shannon, whom we have not seen since his time at Barolo. What a fantastic surprise! The food from starter to entrees were outstanding. The wine paired superbly and along the way we acquainted with wonderful couple at the table next to us. All in all, a top 10 evening between the food, drink and staff. Looking forward to the next time quite soon! Enjoyed the food completely and he staff was very courteous and helpful. Our favorite restaurant for a meal before going to the Symphony across the street. The green papaya salad is always our first course and it is a unique treat. Main dishes are also superb. Food was delicious! Great experience. We live in Savannah but have eaten here many times over the past 15 years (our grandchildren live here). It never disappoints. Our food was superb and the service friendly, relaxed, and impeccable. Great location, great service and great food! Our server Del and her team treated us well. We are repeat customers and will continue to enjoy this Pac Northwest gem! Awesome food, great location! I would recommend this to anyone!